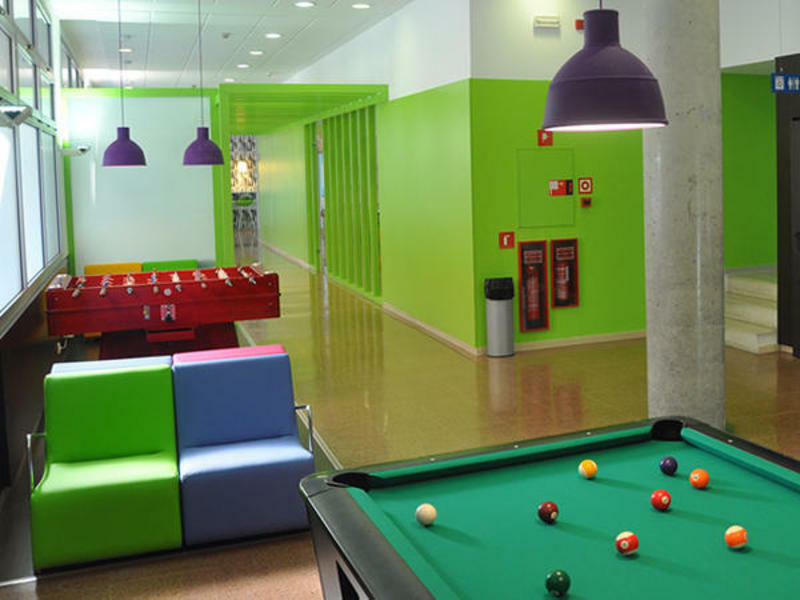 The Blas de Otero youth hostel opened October 2004. The residence is mixed and has 216 places in individual rooms (196) and double rooms (10). It also has rooms specially designed for the handicapped. All rooms have equipped kitchen, full individual bathroom, central heating, telephone and computer connection (free internet). Prices include: Stay, Individual water and electricity consumptions, daily room cleaning (weekdays), sheet changing every 3 days, daily towel changing. Double room: cleaning of the room not included. Please note, that towels are not included in the double room. They can be rented at reception for an additional 4 Euros. The rooms include a 190 x 90 cm bed, wardrobe, desk, chairs, desk lamp, auxiliary piece of furniture and mirror. The residence provides the mattress with cover, blanket, pillow and bedspread. The kitchen is equipped with electric hobs, extractor fan and fridge. Kitchen utensils include plates, glasses, cutlery, pots, frying pans, colander, cruet stand, coffee maker, cooking utensils, water jug apart from cleaning utensils: rubbish bin, bucket and mop, broom and dustpan and a small clothes line. 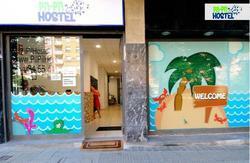 - 100 metres from Plaza Zabalburu.